Editor’s Note: This article contains spoilers from Season 5 Episode 9 of ABC’s Crime Thriller, “How To Get Away With Murder”. 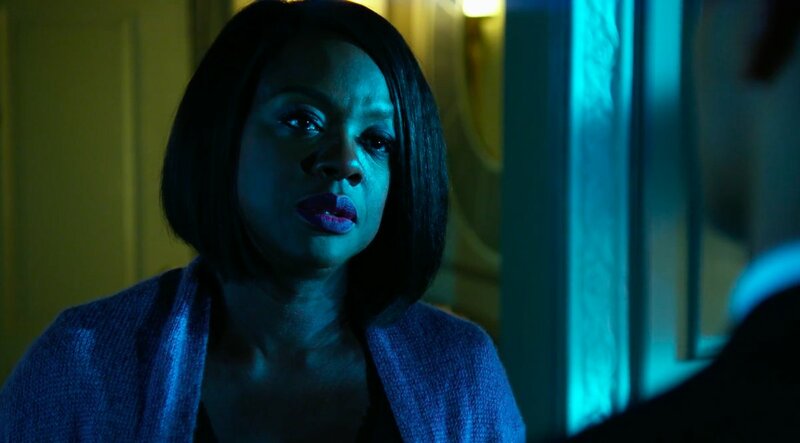 The winter premiere of How To Get Away With Murder was an episode full of emotional flashbacks that lent insight into Annalise and Sam’s convoluted, messy history. The episode answers many questions about Gabriel and delves into the aftermath of Annalise’s horrific crash and stillbirth. Picking up right where the fall finale left off, Annalise is face to face with who we now know as Sam Keating’s son from his first marriage. Gabriel assures Annalise he’s not here to hurt her but to simply get answers. The two sit down in Annalise’s kitchen over a good old glass of whatever liquor Annalise has stashed. It is revealed that Gabriel was told by his mother (Vivian) that his father left him before he was born, and he never questioned this until his grandmother died and he dug up his birth certificate. This leads him to Annalise’s class, however, he says his ambitions to be a lawyer are genuine. The episode is told through a series of flashes from the past to the present that detail the few days after Annalise lost her baby. Viola Davis does a fantastic job portraying the heart-wrenching grief Annalise was feeling, and the writers did a great job of exploring how this grief can lead to rash decisions or tension in the marriage. Annalise stays in bed for most of the time, but in her grief makes the decision that she must try and adopt Christophe (Wes), which is clearly stated as a coping mechanism for her. Unfortunately, Sam does not seem fond of this idea and berates Annalise which leads to an explosive argument. Sam, ever the neglectful husband, decides that he’s going to leave Annalise alone for a few days to visit his son Gabriel. Earlier in the episode, we see him leave a tearful message begging to see his son after the stillbirth. When he gets no response, he decides to simply go himself and while rejected by Vivian’s mother, he does see Gabriel, and the two briefly talk before Gabriel is forced inside. Meanwhile, Annalise submits adoption papers, however, the Department Of Child Services says that the adoption won’t work. This leaves Annalise severely distraught, and after leaving Sam a heart-breaking voicemail, she tries to overdose on her pills. She is thankfully found by Bonnie, and the two sit and Annalise pours her heart out. It is now where we get to really hear how much pain Annalise was feeling. Annalise has gone through two miscarriages and has now just lost the one child she could actually have. The pain she must be feeling is unimaginable, and Davis flawlessly exhibits this. This scene is definitely the one that got me choked up as it is so powerful. In the final part of the flashbacks, Frank receives a copy of an email sent by Sam to Vivian from Eve. He confronts Sam and reminds him of how much Annalise needs him, which prompts Sam to return home. In the present, Gabriel is demanding to know how his father died. Despite Annalise telling him that Sam was killed by Wes, and even playing the voicemail, Gabriel is still asking questions. 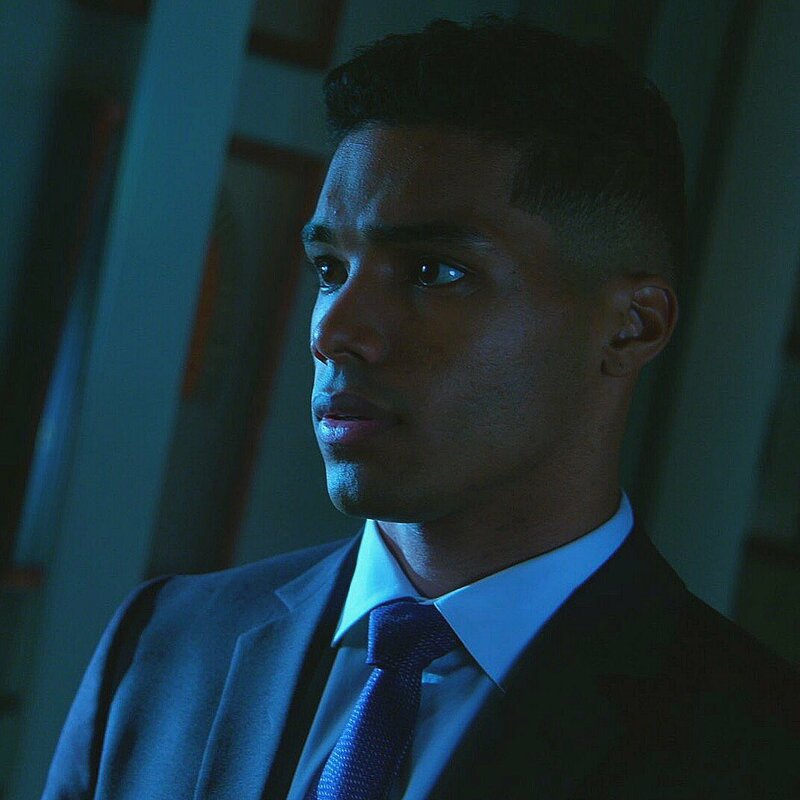 He wants to know why Frank would look into him, and why does Annalise think he’s the bad guy. Annalise reminds him that Sam had betrayed both of them, left them behind and played with them. Annalise maintains that she was a victim of Sam’s actions, the same way Vivian was. 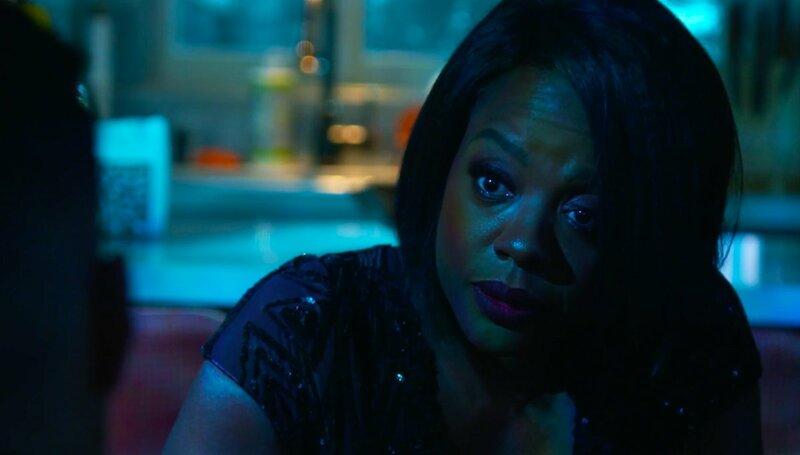 She tells Gabriel that it’s “Better to have no father than a bad one.” This is only upheld when Eve appears again with the email, this time in the present to give to Annalise. Back on Gabriel’s end, we see a final shot of him sadly holding the basketball he had when Sam talked to him all those years ago. He picks up his phone, dials an unknown number and says “Hey. I screwed up. They found out who I am. Can you call me back?”, opening another set of questions about him (nothing is ever simple in HTGAWM). Who’s on the phone? Did he lie when he said his mother doesn’t know he’s here? Does this mean his intentions are more sinister? Clearly, this is a mystery that will be unfolded as the season continues, most likely at the expense of Annalise. Laurel revealed Gabriel’s identity to the rest of the Keating Four, so it is likely they’ll have something to do with it. Overall, this episode was very heavy. Scenes of Annalise’s grief, coupled with the in-between scenes showing how guilty Bonnie feels over Miller’s death makes this episode incredibly emotional. There’s a scene in which Bonnie is washing off the blood on her in the shower; as we watch the blood run down the drain the audience can see and feel all of Bonnie’s anguish. The death of DA Miller is something that will torment Bonnie all season, as she learns to live with what she’s done. The writers crafted meaningful, poignant and realistic scenes that added so much depth and character to this episode. It should be noted that it did feel a little slow, especially considering the crucial (and criminal!) events of the fall finale. Also, a special shout out to the phenomenal lighting, the colour palettes of the past vs the present added to the mood and feeling of each scene. As the season unfolds, I’m intrigued to see how this mess will grow. All of the characters are pretty much blissfully unaware of what happened at the wedding, so it’ll be a real shock when everything hits the fan. Bonnie and Nate are left in precarious positions, and it’s only a matter of time until someone becomes suspect of killing DA Miller (and we still don’t know for sure if he even killed Nate Sr.), and will Gabriel reopen the investigation of Sam Keating? What’ll happen to Annalise and the other beloved characters?